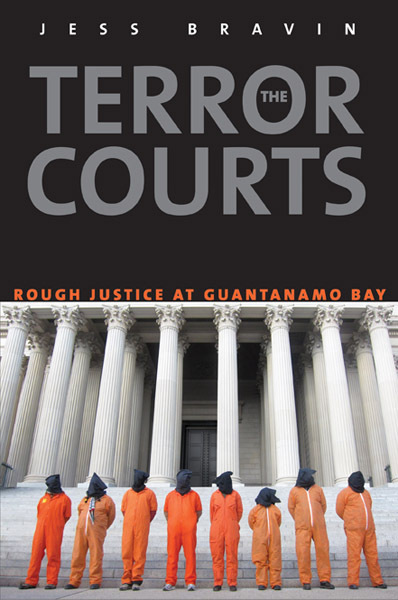 The Terror Courts: Rough Justice at Guantanamo Bay by Jess Bravin. Yale University Press (2013). Publisher’s Summary: Soon after the September 11 attacks in 2001, the United States captured hundreds of suspected al-Qaeda terrorists in Afghanistan and around the world. By the following January the first of these prisoners arrived at the U.S. military’s prison camp in Guantanamo Bay, Cuba, where they were subject to President George W. Bush’s executive order authorizing their trial by military commissions. Jess Bravin, the Wall Street Journal’s Supreme Court correspondent, was there within days of the prison’s opening, and has continued ever since to cover the U.S. effort to create a parallel justice system for enemy aliens. A maze of legal, political, and moral issues has stood in the way of justice—issues often raised by military prosecutors who found themselves torn between duty to the chain of command and their commitment to fundamental American values. While much has been written about Guantanamo and brutal detention practices following 9/11, Bravin is the first to go inside the Pentagon’s prosecution team to expose the real-world legal consequences of those policies. Bravin describes cases undermined by inadmissible evidence obtained through torture, clashes between military lawyers and administration appointees, and political interference in criminal prosecutions that would be shocking within the traditional civilian and military justice systems. With the Obama administration planning to try the alleged 9/11 conspirators at Guantanamo—and vindicate the legal experiment the Bush administration could barely get off the ground—The Terror Courts could not be more timely. Jess Bravin, Supreme Court correspondent for the Wall Street Journal, has covered the Guantanamo military commissions since 2001. Available from Yale University Press. 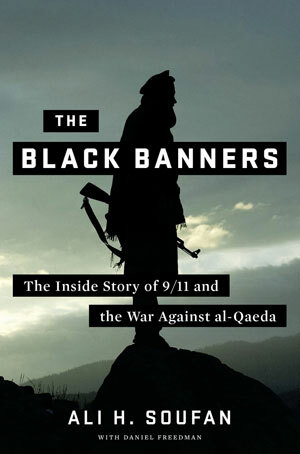 The Black Banners: The Inside Story of 9/11 and the War Against al-Qaeda by Ali H. Soufan (with Daniel Freedman). W.W. Norton & Company, Inc. (2011). Publisher’s Summary: A book that will change the way we think about al-Qaeda, intelligence, and the events that forever changed America. On September 11, 2001, FBI Special Agent Ali H. Soufan was handed a secret file. Had he received it months earlier—when it was requested—the attacks on New York and Washington could have been prevented. During his time on the front lines, Soufan helped thwart plots around the world and elicited some of the most important confessions from terrorists in the war against al-Qaeda—without laying so much as a hand on them. Most of these stories have never been reported before, and never by anyone with such intimate firsthand knowledge. This narrative account of America’s successes and failures against al-Qaeda is essential to an understanding of the terrorist group. We are taken into hideouts and interrogation rooms. We have a ringside seat at bin Laden’s personal celebration of the 9/11 bombings. Such riveting details show us not only how terrorists think and operate but also how they can be beaten and brought to justice. Available from: W.W. Norton & Company, Inc.